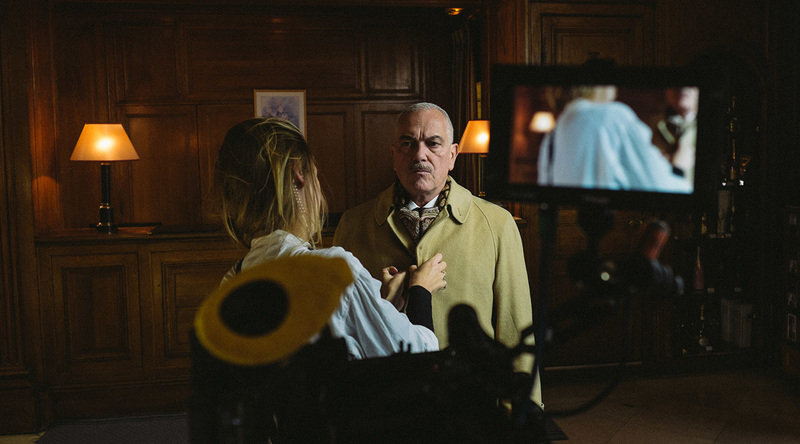 LOCKLINEA tragicomedy/dramady about the dreadful life of hotel inspector Ludwig, who has been sleeping in a different hotel every night for the past 30 years. Home Suite Home will be a short dramady about the dreadful life of hotel inspector Ludwig. 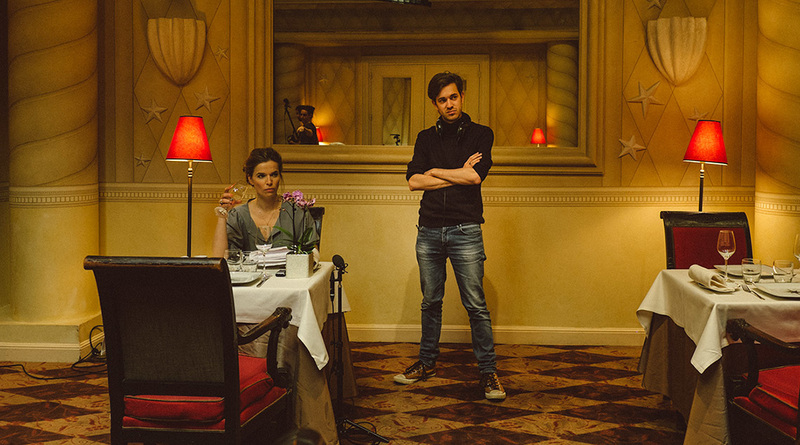 The screenplay is written by director Jeroen Houben who will also direct the film. The film will be produced by Habbekrats. 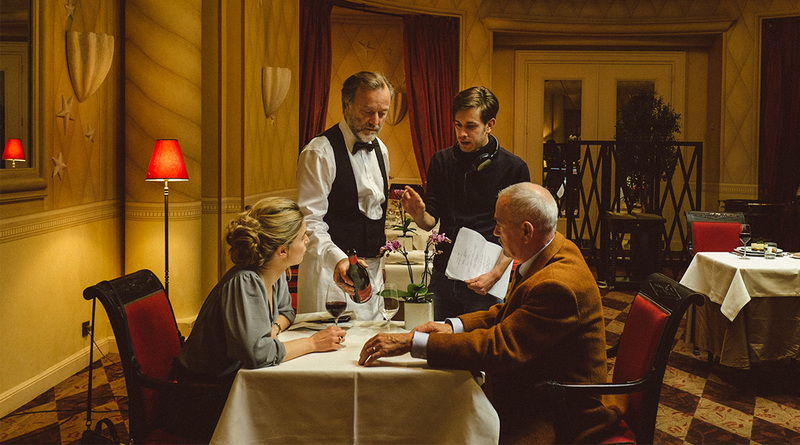 Ludwig is a hotel inspector who’s been traveling the world for 30 years, spending every night in a different hotel. The mini bar, the clean sheets, the room service; this is his home. But through the years Ludwig has become a sour person taking all this luxury for granted. One night in Paris, he accidentally runs into a female inspector, Stella. She takes him on an adventure that just might be the wake-up call his life’s been waiting for. For most people, a hotel equals holiday. Sleeping late while somebody else changes your sheets. For businesspeople who travel a lot, it’s not a holiday but part of their daily lives. They travel a lot and are often away from home for a long while. For hotel inspectors it’s even worse because they’re constantly judging their own ‘home’. They never really call it a day. "The mass of men lead lives of quiet desperation" reads Thoreau’s famous observation. Ludwig, our main character, is such a man. He lives his life on auto-pilot, and works all day so he doesn’t have to think about who he really is. All those trips and the anonimity that comes with them have enstranged Ludwig from the outside world. Then he meets Stella in whom he sees a companion who deals with the same lonely reality. But Ludwig also sees his old self reflected in her. Stella does her job with a sense of adventure. It turns Ludwig into a Don Juan who for once doesn’t behave as an inspector, but as a tourist far from home. 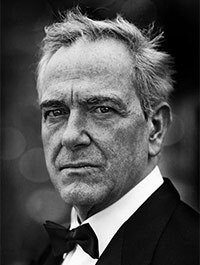 Ludwig will be played by Gene Bervoets (Borgman, De Laatste Dagen van Emma Blank). 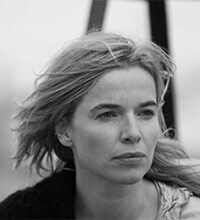 Stella will be played by Thekla Reuten (In Bruges, The American). 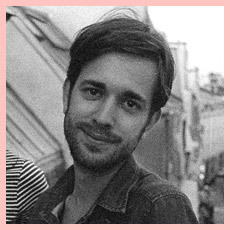 Jeroen Houben (1987) is a filmmaker based in Amsterdam, who has made music videos for artists like Young & Sick and Yellow Claw. His most recent film “Sorry” was internationally acclaimed, among others at the Netherlands Film Festival and the Filmapalooza Festival in Los Angeles. “Page 23” (2001) got over a million online viewers worldwide, and was shown at the Cannes film festival and broadcasted on PBS in New York. One of the viewers was actress Mia Farrow who praised the film as “creepy and unnerving”. Home Suite Home will be produced by Habbekrats, known for their films Wolf (2013) and Rabat (2011). We zijn over de streep! !Het is gelukt. 13.000 euro is het bedrag dat we minimaal nodig hadden om de film te maken, en dat streven is gehaald. Ontzettend veel lof aan alle 107 donateurs die tot nu toe hun steentje bijdroegen!We hebben nog één dag te gaan. Draag je de film een warm hart toe, dan is elke bijdrage nog steeds van harte welkom. Want hoe meer we ophalen, des te meer we kunnen investeren in mankracht, apparatuur en locaties.De funding sluit morgen om 23:00 uur. Op de valreep publiceert CitizenMag vandaag een interview met regisseur Jeroen Houben. Hierin vertelt Jeroen onder andere over hoe een creatief idee tot stand komt, en wat hem inspireerde tot het schrijven van Home Suite Home. De cast is bekend! Thekla Reuten en Gene Bervoets zullen de hoofdrollen vertolken in Home Suite Home.Thekla Reuten speelde eerder in films als The American, In Bruges en recentelijk nog in Het Diner. Gene Bervoets speelde onder andere in de laatste twee films van Alex van Warmerdam: Borgman en De Laatste Dagen van Emma Blank.“Het was vanaf het begin duidelijk dat Gene en Thekla het moesten worden. Ik heb deze rollen voor hen geschreven” aldus regisseur Jeroen Houben. “Ik geloof heel erg in die manier van werken. Dat je je bij het opbouwen van een personage laat inspireren door een acteur." Met de donatie van Achmed Akkabi heeft Home Suite Home haar eerste associate producer aangetrokken. De acteur, momenteel te zien in de RTL 4-serie Moordvrouw, speelde eerder in de film Rabat van producent Habbekrats en vertolkte de hoofdrol in de short Pagina 23 die Jeroen Houben co-regisseerde. "Ik heb het volste vertrouwen in Jeroen Houben en Habbekrats. Met beiden heb ik projecten gedaan die ik zal koesteren voor het leven. "- Achmed AkkabiHet is voor het eerst dat Akkabi zich op deze manier verbindt aan een filmproductie. "Deelnemen aan Home Suite Home als associate producer is, naast de support voor Jeroen, tevens het begin van een nieuw terrein dat ik de aankomende jaren wens te onderzoeken." De titel associate producer is weggelegd voor donaties van 2000 euro of meer. Our eternal gratitude! You'll be mentioned on the film's website. Your name will be mentioned in the creditroll of the film. Through an exclusive link you'll get acces to the online première of the film. You're invited to our exclusive première party. 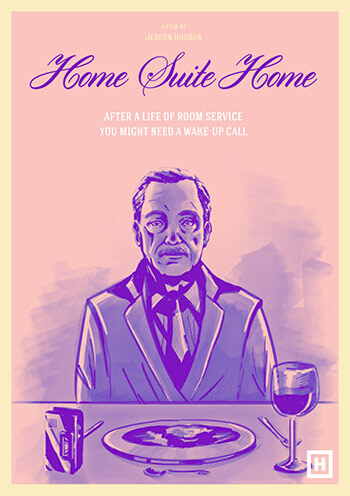 There you'll receive a Home Suite Home filmposter. On top of that you'll receive the above mentioned awards. Come visit us during the editing of the film, and get an exclusive sneak preview of the result. On top of that you'll receive the above mentioned awards. Choose a still (there will be 4 options) that we will print and frame, to hang on your wall. On top of that you'll receive the above mentioned awards. Get the making-of photo book with set photo's. A beautiful behind the scenes-look. On top of that you'll receive an invitation to the première party. Get a free night for 2 persons in a CitizenM hotel in New York, London, Paris or Glasgow! (trip not included) Be quick, because we only give away this award twice. We'll adapt your logo in the creditroll of the film. You will also receive the photo book and an invitation to the première party. You will be rewarded with a dinner with director Jeroen Houben, and your logo will be adapted in the creditroll of the film. You will also receive the photo book and an invitation to the première party. You will be mentioned as 'associate producer' in the leader of the film! You will also receive the photo book and an invitation to the première party. 116 supporters have contributed to this project!